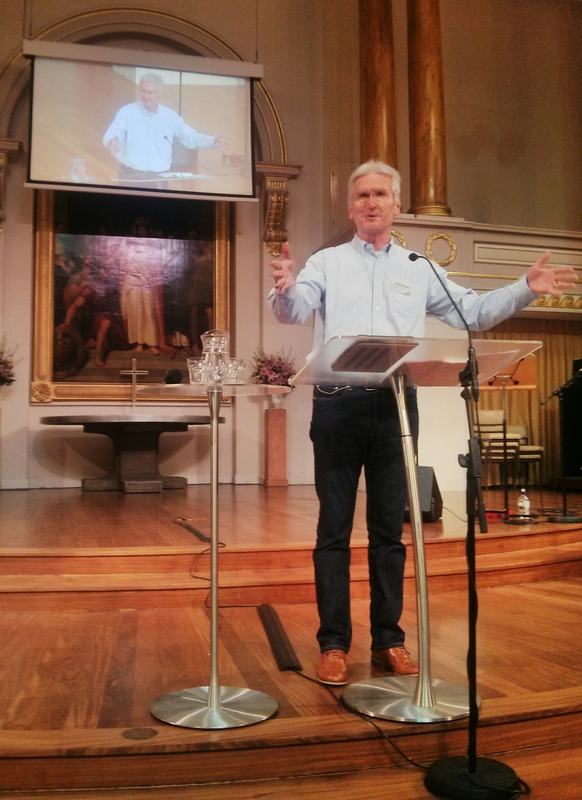 Recently London City Mission held its annual Thanksgiving Service at All Souls, Langham Place. It was a wonderful evening. We heard testimonies from missionaries. We heard of lives changed, sins forgiven, hope provided around our great city of London. We sang and gave thanks for God’s gracious provision. The heart of the evening was Guest speaker Andy Paterson’s sermon from God’s word. Andy is Mission Director with FIEC, and he inspired staff and supporters alike as he opened up Colossians 1. He challenged us to not to lose our nerve and imagine that somehow we should give up on verbally sharing the gospel just because it is unpopular. He also challenged London City Mission to “help plant and support indigenous churches, go on resourcing gospel-hearted churches with some of the brilliant evangelists that you have and work with those churches so that they might effectively welcome and grow and develop people who are coming to faith in Christ and please use your expertise to grow a generation of working class church leaders.” Thirdly, he impressed upon the Mission the role it has to play in training, facilitating and equipping truly multi-racial, multi-ethnic churches in London. Our own census shows that 48% of Inner City London’s Christians are “Black Majority Ethnicity”, 38% are White Ethnicity, and 14% are Asian and Other Ethnicities. We are a global church with an opportunity to reach the rich mix of London, but our congregations are less diverse than our workplaces and schools. The full 30 minute talk is available below. The service was a great time of blessing and fellowship as we thanked God for all he has done in and through the Mission over the past year and lifted up the coming one to him. There is still much to be done in London and much to be prayed for.